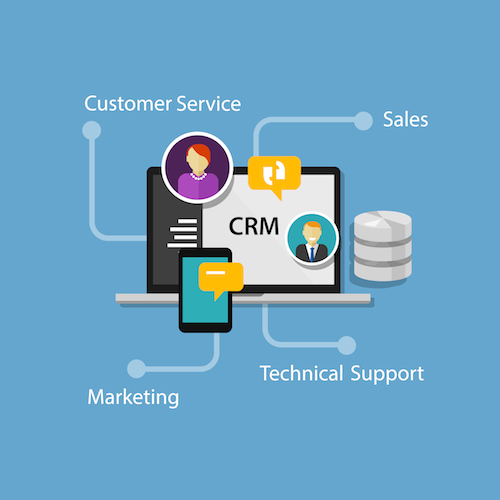 3 CRM Tools for Small Businesses - Mischa Communications, Inc. Mischa Communications, Inc.
It’s not easy keeping up with all your small business’ customers. You need to know more than their credit card numbers; you need to know their names and birthdates, whether they respond better to email offers or social media advertisements, and what products or services they regularly purchase. It would be hard to keep that information straight for one person, let alone the hundreds or thousands of customers that you regularly serve. That’s where customer relationship management (CRM) tools come in. CRM tools make it easier to maintain your relationship with the people who keep your small business afloat. They help you keep track of who buys what, as well as the when, why and how. And if you’re not using them already, you’re overworking yourself. So take a break and check out some of our favorite CRM tools for small businesses. Small business owners can’t beat the value that Insightly offers. Although it starts out small (and free! ), it has the ability to grow along with your business, making it the perfect solution for those just starting out. Insightly doesn’t just show you what’s working – it also shows you where you’re going wrong. The software even shows you who your most valuable customers are, allowing you to reward those who make frequent purchases. There’s a reason Facebook, Coca-Cola and Harvard use Salesforce CRM: it works! After a free trial, the service offers tiered pricing, making it simple to choose what your small business needs and nothing more. It has all the bells and whistles you’d expect to find in a CRM tool, and the results speak for themselves. The average user sees a 37% increase in sales with Salesforce! If you’re looking for easy, Zoho is your CRM tool! It’s user-friendly, simple to learn and gets the job done with as few clicks as possible. With plans ranging from free to $50 a month, Zoho is completely mobile and offers built-in social CRM, allowing you to keep track of all your touchpoints at once. Maintaining good relationships with your small business’ customers is hard work, but when you utilize a CRM tool, your chances of success skyrocket. Looking for a little relationship counseling? Drop Mischa Communications a line. We can help you explore CRM tool options and take your customer engagement to the next level!